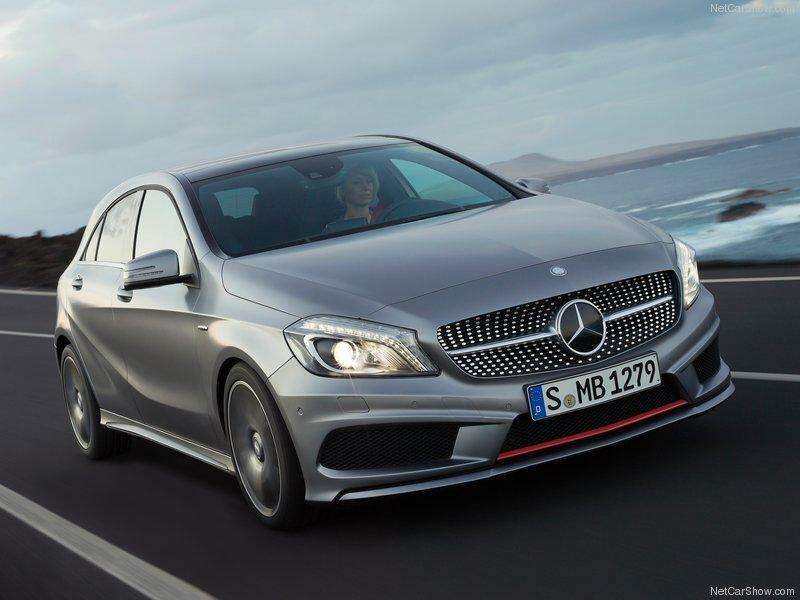 Mercedes A-Class EV: A Tesla at heart? Tesla Motors, maker of the electric Roadster and Model S, will build the powertrain for an electric version of Mercedes-Benz’s upcoming A-Class compact, a source close to the American company says. Tesla recently inked a contract with Daimler, Mercedes’ parent company, to provide hardware for electric vehicles. It appears that the A-Class will be the first product of this collaboration. Tesla founder Elon Musk announced the contract recently, saying that its value exceeded all of Tesla’s previous contracts. A Tesla employee with inside knowledge of the deal told Groen7 that, under the contract, Tesla will design a powertrain for the electric A-Class. The Tesla-powered A-Class will debut as a concept car sometime next year. Like the EVs from competitors BMW and Audi, the little Mercedes will be more of a prototype than a showroom model. Mercedes will release a few cars to select customers as part of a pilot program, which will gather data on real-world use that the world’s oldest car company can put toward developing its own electric powertrain. Audi is taking a similar approach with the A3 e-tron, as is BMW with the 1 Series-based ActiveE. Since Mercedes and Tesla have not made any official statements about the A-Class, the specifics of its powertrain are unknown. The BMW ActiveE produces 170 horsepower, and its 32-kWh battery pack gives it a range of 94 miles. The Audi A3 e-tron has 114 hp and a 26-kWh battery pack, giving it a range of roughly 90 miles. While Mercedes gets a pre-packaged first-generation EV, Tesla gets an outlet for its technology. The company will only sell so many luxury EVs, so developing electric powertrains for other companiess has become an important part of Tesla’s business strategy. In addition to the A-Class, Tesla is building a small batch of RAV4 EVs for Toyota. As it ramps up production of the Model S (and Model X crossover), and tries to repay government loans, Tesla could use the cash. Meanwhile, Mercedes will have an electric car pilot program to match its rivals’. Inheriting troubles: What does Google get out of Motorola?